Rory MacDonald Is Eyeing December Return. Who Would You Like To See Him Fight? Discussion in 'UFC Discussion' started by Arkridge, Aug 14, 2015. Earlier this week on Ariel Helwani's The MMA Hour, Rory MacDonald said during an interview that he would like to be booked for a fight for December within the next six weeks or so, against an opponent he's never fought, no rematches. I for one, really enjoy the majority of Rory's fights and would love to see him booked before the end of the year. If Rory does in fact gets his wish and gets a fresh matchup for December, who would you like to see him up against? I just dont think hes fighting again this year. How about Alves? I don't believe he has a fight scheduled, and it would be a great striking battle. Alves has official dropped to 155, my man. I'd actually love to see Rory take a fun fight at 185. I feel like he's already fought most of the top 10 welterweights so I dunno. 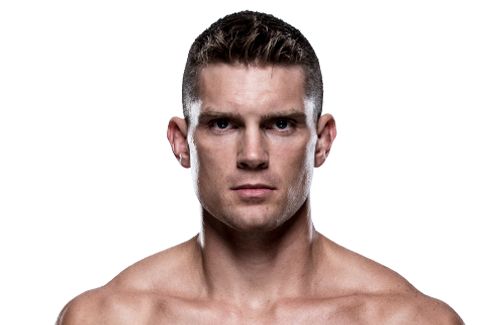 Could possibly end up fighting a fringe top guy like Tim Means or Lorenz Larkin I guess. Unless somebody gets injured or something; I don't really see him getting another fight this year. The only person that makes a little bit of sense is Wonderboy, and why kill him off? wow i didn't know that. didn't he have major issues making 170? When is Lombard due back? When they got scheduled a little while back I was pumped and Sherdog seemed just as excited. At one point he did, but I think Dolce has gotten it under control. I have my doubts he can make 155 but I'm excited to see him try. How about Rick Story assuming he can make a Dec return? I wouldn't mind this at all but to be honest I'm really liking the idea of Rory taking a fun fight or two at 185. Imagine MacDonald vs. Bisping or MacDonald vs. Jacare even. Seems like he has really struggled with length lately vs Condit and Mein.